My standard dulcimer setup features what I have found to be the most popular configuration with most players; 4 strings with the 6 1/2 and 13 1/2 frets. The action is set up for a balance of playability and clean sound (minimal buzzes if you play it hard). 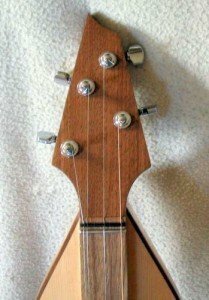 I recommend this setup to most people unless they have something else in mind (I offer the option of additional frets and stringing configurations on the dulcimers I make). You can always play a 4 string as a 3 string, change the nut and bridge to accommodate different string spacing, etc. I personally play with 3 strings. I bend strings and play with left hand vibrato and have found that 3 single strings work better for me. My personal dulcimers have a fret between the nut and first fret (I call this a “half fret”) and a 1 1/2 fret . This adds a few chromatic notes that occasionally come in very handy. The 1 1/2 fret seems to have become relatively popular but not many people seem to use a fret between the nut and the first fret. Most people I know use the 17.817 calculation option. 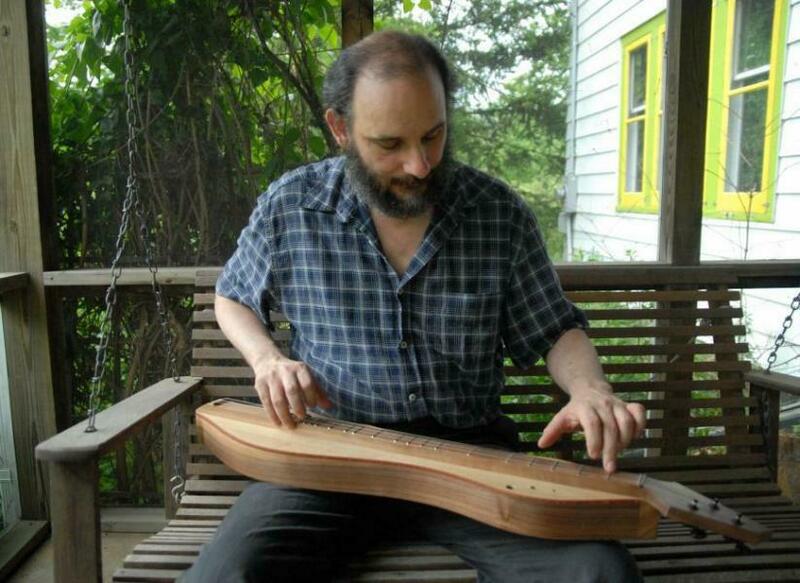 There are also two fret patterns in “Constructing The Mountain Dulcimer” by Dean Kimball. It’s a good book with a lot of general information about dulcimer construction. I am in search of a pattern or the measurements for placement of the fret wire on a mountain dulcimer. I have plans with no mastern pattern or measurements to ensure proper fret placement. Can you tell me where to look? I use it for playing some things in a minor scale. It also allows a couple of chords that used to require some heavy string bending – much more graceful now with the 1/2 fret. It’s also out of the way since it is below where one usually plays too! Nifty, Doug. I could see uses for that 1/2 fret in particular.